Today we will be talking a little bit about this colourful palette right here. NYX Cosmetics is becoming ever so popular now and I remember how excited I was when NYX started opening their stands up in Boots, which made it so easy to have a look at their make and purchase. They even have their very own stand alone store in London now which just launched recently, so naturally, I really need to make a plan and go see it. I actually saw this palette on sale at Boots last year just after Christmas. I bought this one and their other Avant Pop Palette called, Surreal My Heart. I just randomly found it on the shelves and it was reduced, I got really excited and bought both. Bargain! The packaging is just simply made of black and clear plastic with a click in closure. At the back of the palette, it shows the name of the palette and the ingredients as well as 2 little illustrations of 1 day look option and 1 night look option. There are 10 eyeshadows in this palette and the eyeshadow pans are a really good size compared to some other eyeshadow palettes, definitely enough to freely dip your brush in there and grab some colour. The first thing that attracted me to this palette is definitely how vibrant the colours looked in the pans. And ofcourse I wanted to try more of NYX eyeshadows as I mostly have their Soft Matte Lip Creme lip products and love them. Because of how bright the colours looked in the pans, I did expect a lot of pigment in the colours. 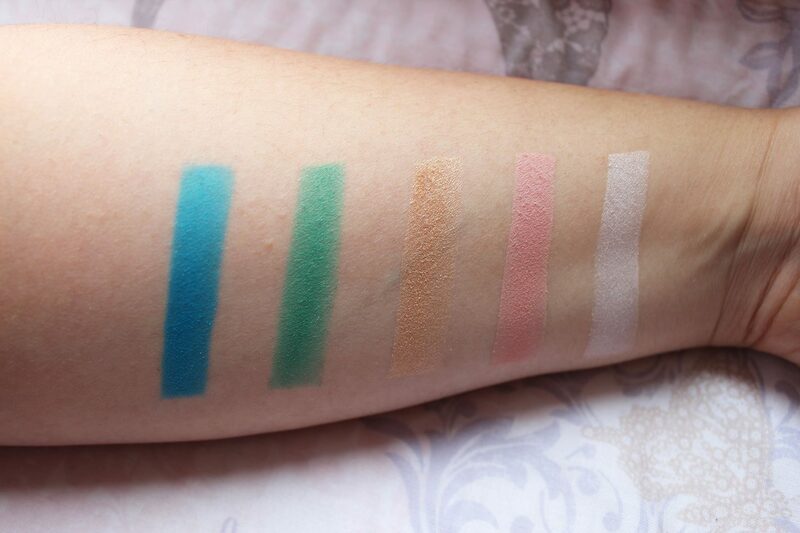 I wasn’t overly impressed with the pigment of these colours when I was swatching them. 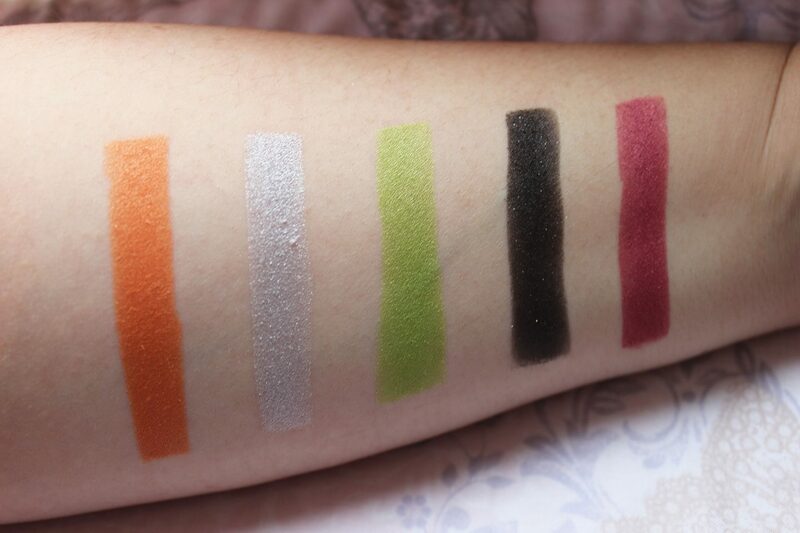 At first swipe, it wasn’t as pigmented as I’d hoped, but once they’re built up, as seen in my swatches, they look pretty decent. I can imagine that they will look even better when applied wet to. You can create some beautiful looks with this palette, the colours are really pretty and great for when you’re feeling bold and daring. I like how they’ve included a shimmery black shade which allows you to smoke out any other colour from the palette. The last shade in the top row is a really nice white/pink pearl shade which is perfect to highlight the brow bone and inner corners. So any virbant colour you choose to wear, you can just smoke it out with the black and use that glow from the top row as the brow bone highlight, making this palette easy to work with. This palette retails for £14 on their website. Because I wasn’t super impressed with the pigment at first glance, I wouldn’t recommend this palette if you’re for that extremely vibrant and bold palette. 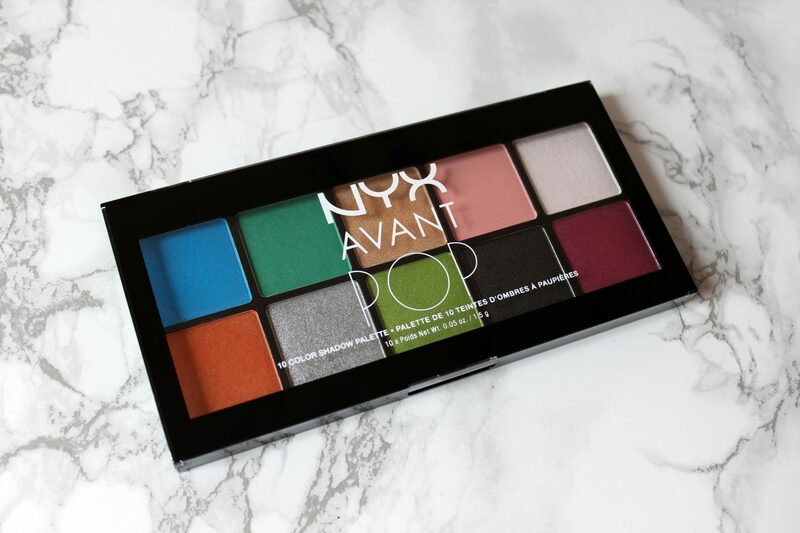 If you’re a beginner and just want to start experimenting with bold colours, then yes this might be a good palette for you to dip your toes in the water. Have you tried this palette? 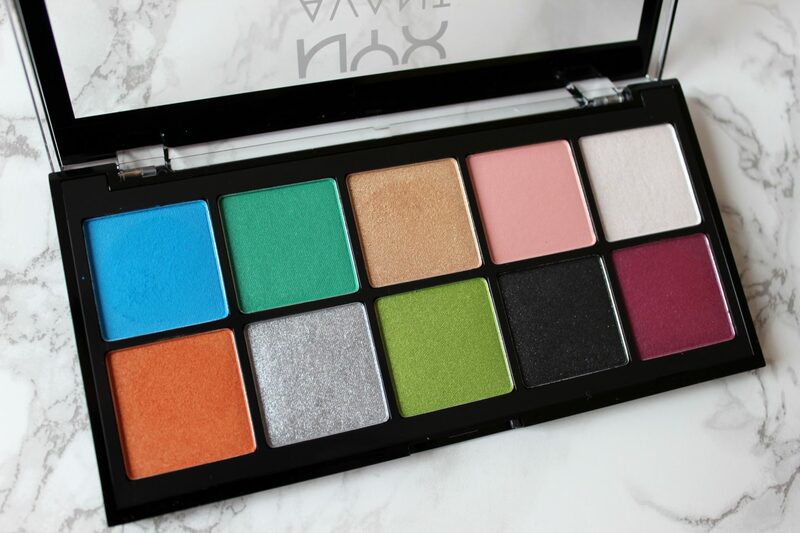 Which NYX eyeshadow palette is your favourite? Great post. I LOVE NYX products. mostly their lip products although I am now dabbling in their eyeshadows too. I love this palette though, would be a great addition to my collection, although I have a half empty palette to fill with singles first. I’ve heard some good things about this palette but I am glad you mentioned that it took building up to get to this color! Still love NYX but I’ll probably pass on this one. I’m getting this very palette in a subscription box and I’m excited to see that the colours swatch really nicely! NYX have other Avant Pop palettes if you don’t want to go bold, but I am in LOVE with that orange and electric blue.